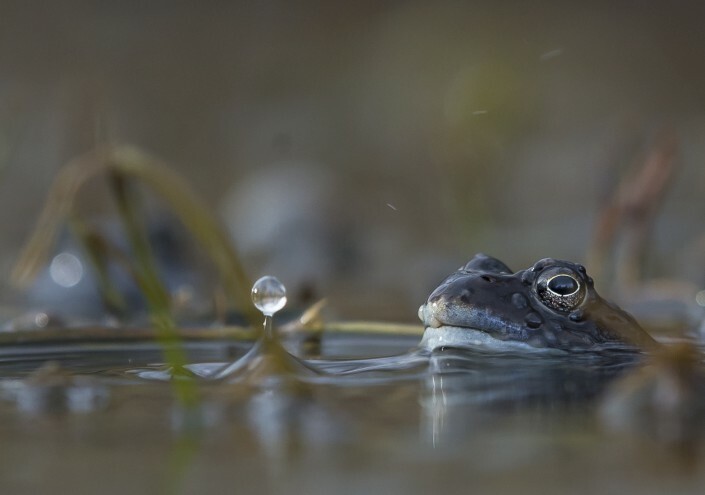 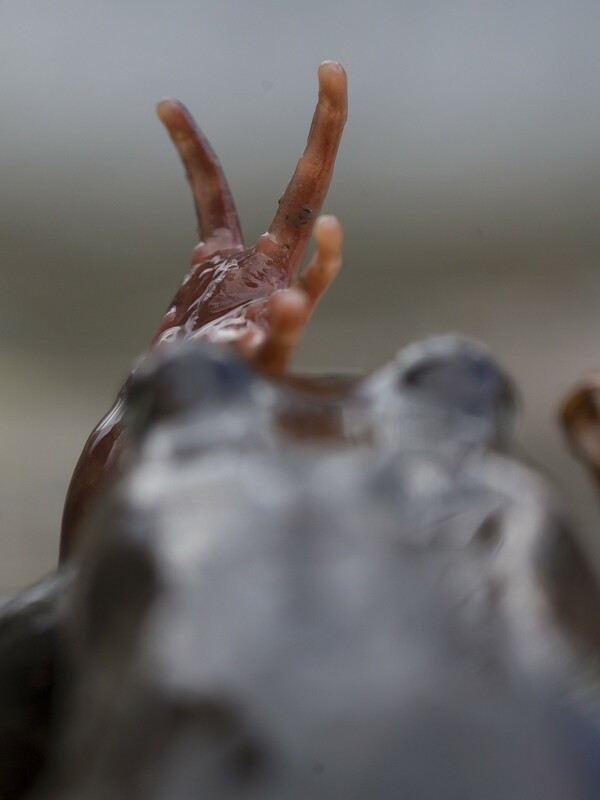 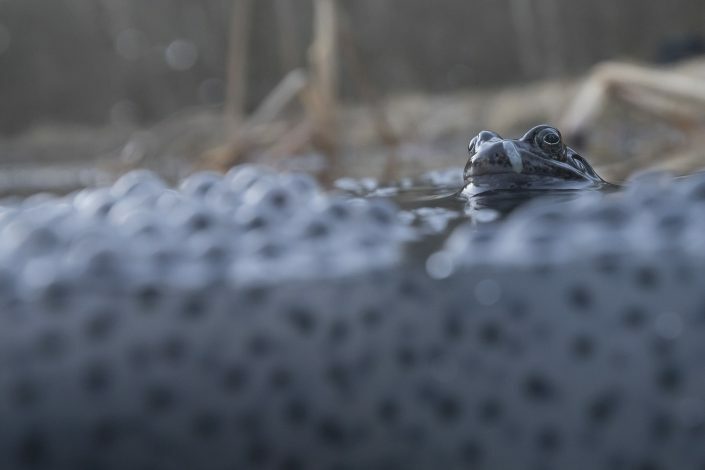 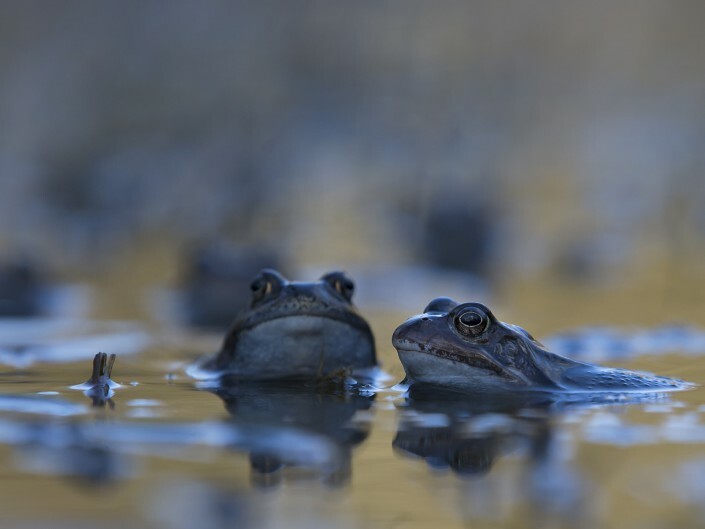 The common frog (Rana temporaria), also known as the European common frog, European common brown frog, or European grass frog, is a semi-aquatic amphibian of the family Ranidae, found throughout much of Europe as far north as Scandinavia. 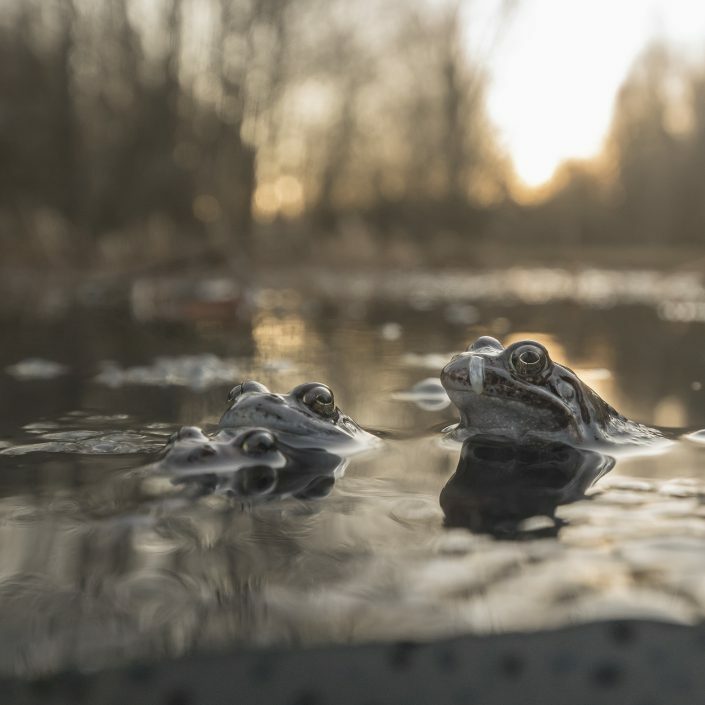 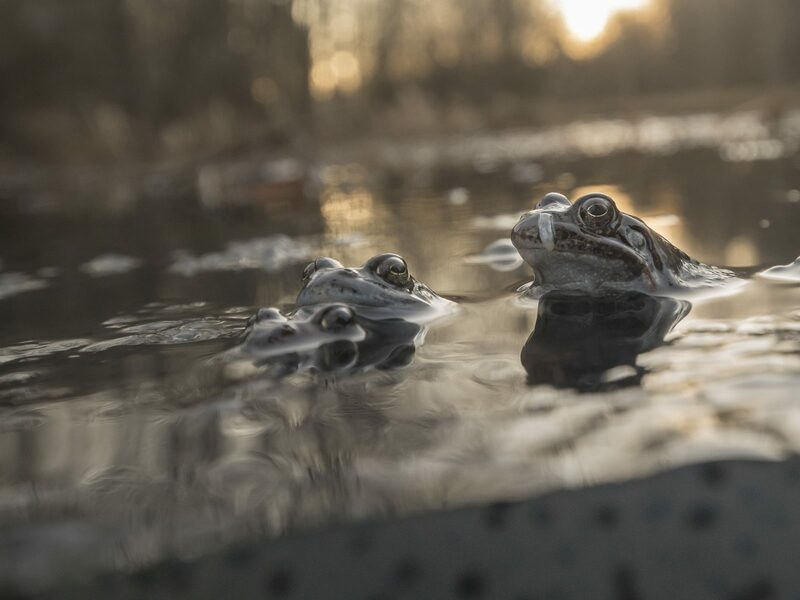 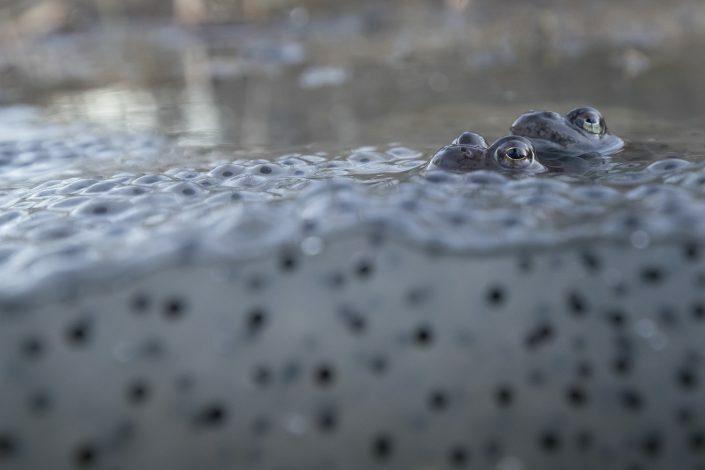 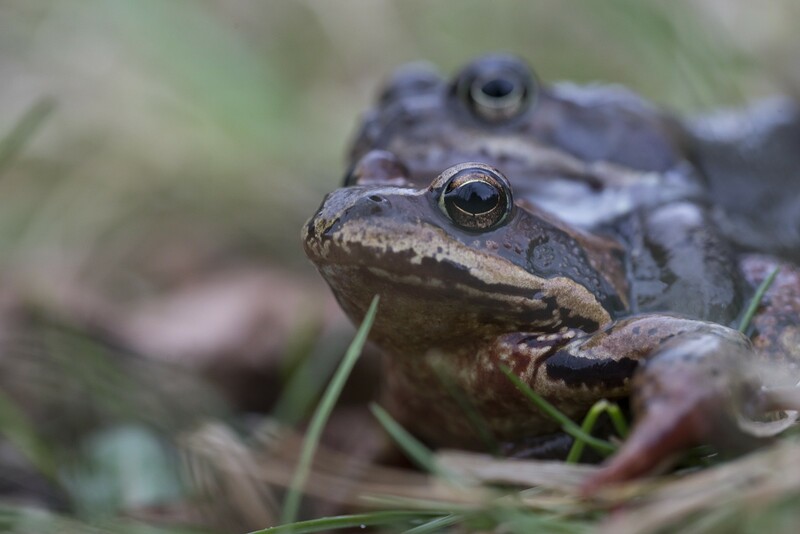 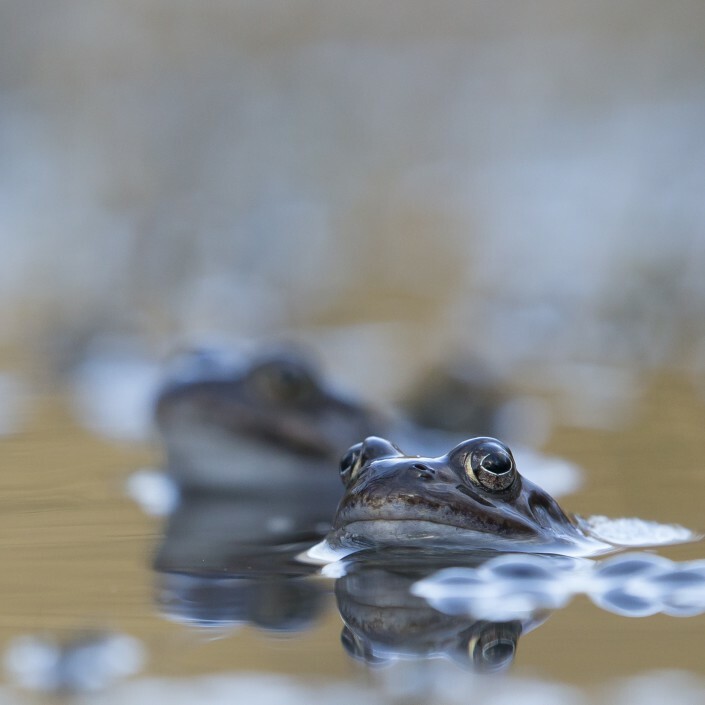 The adult common frog has a body length of 6 to 9 centimetres (2.4 to 3.5 in) its back and flanks varying in colour from olive green to grey-brown, brown, olive brown, grey, yellowish and rufous. However, it can lighten and darken its skin to match its surroundings. Some individuals have more unusual colouration — both black and red individuals have been found in Scotland, and albino frogs have been found with yellow skin and red eyes. 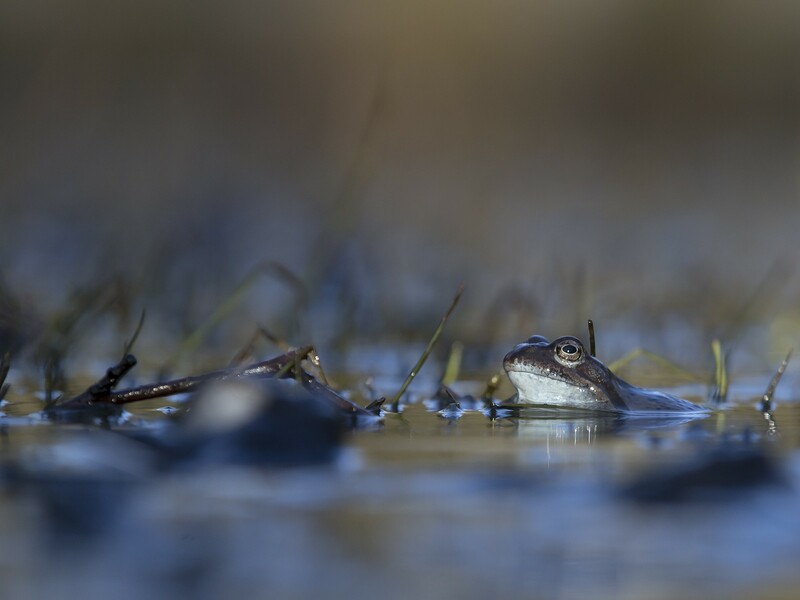 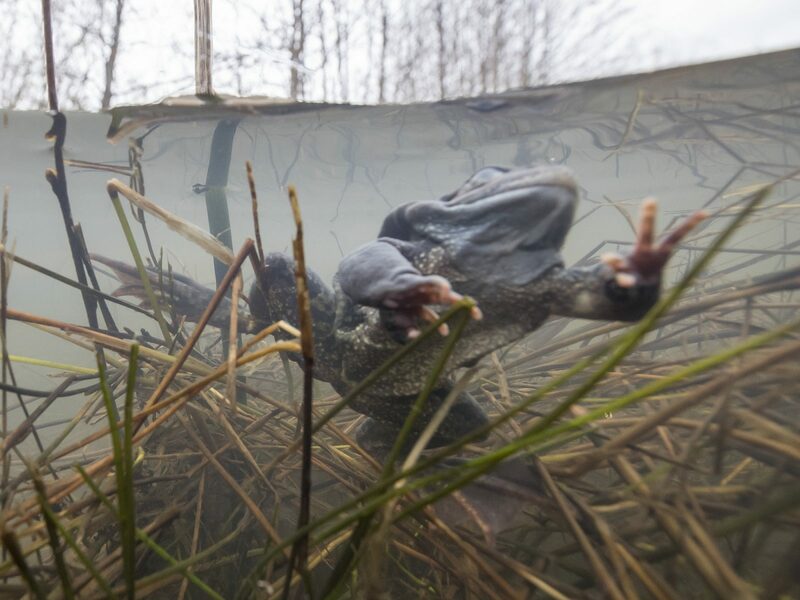 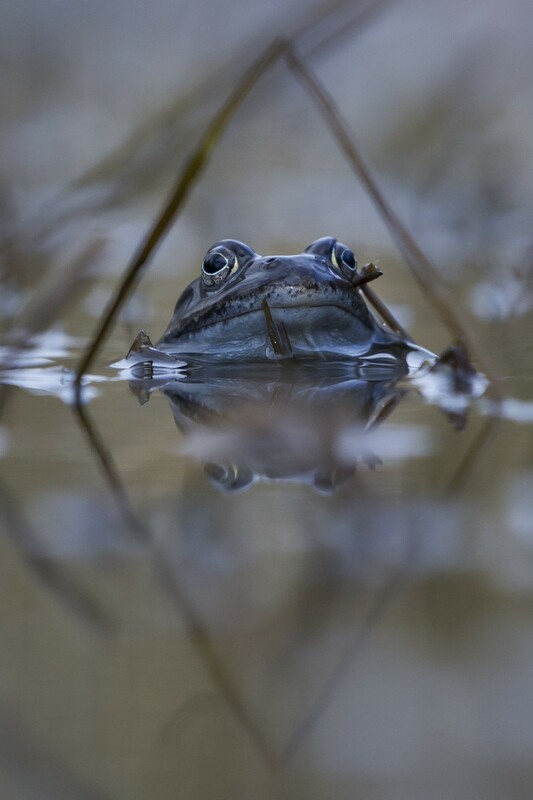 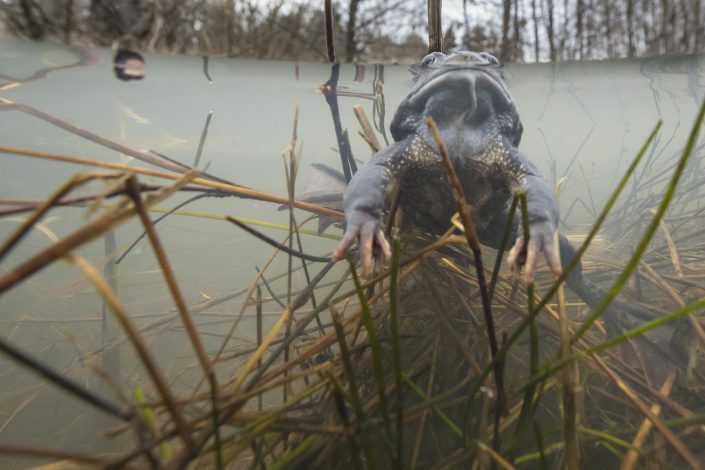 During the mating season the male common frog tends to turn greyish-blue (see video below). The average weight is 22.7 g (0.80 oz); the female is usually slightly larger than the male. 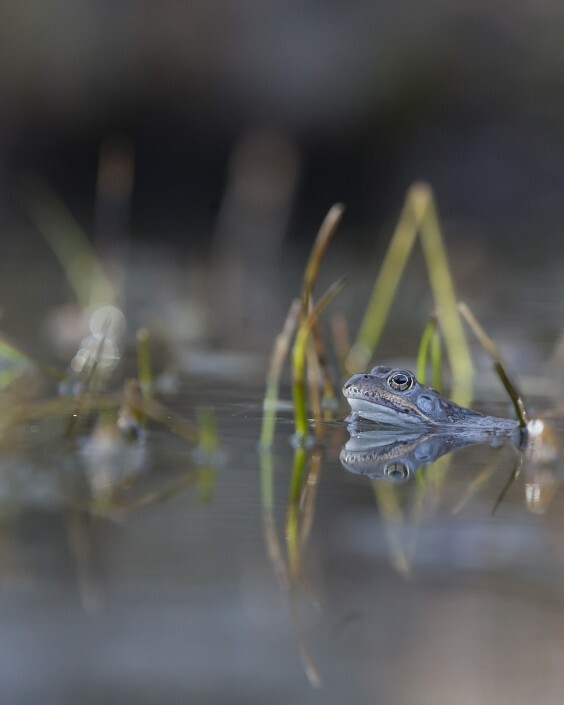 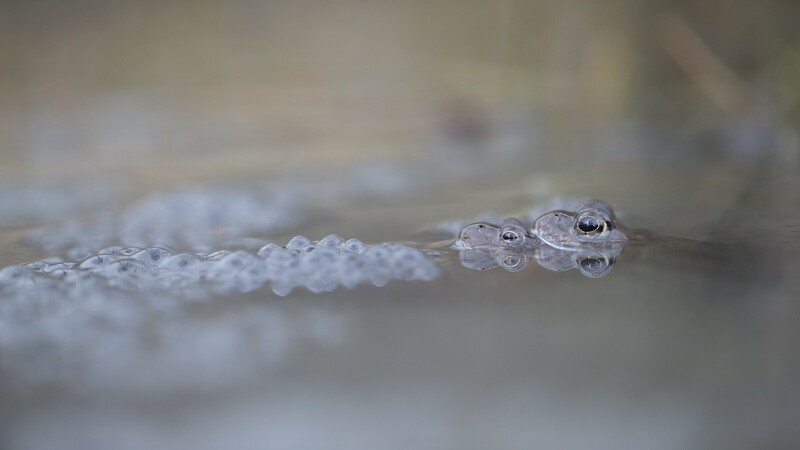 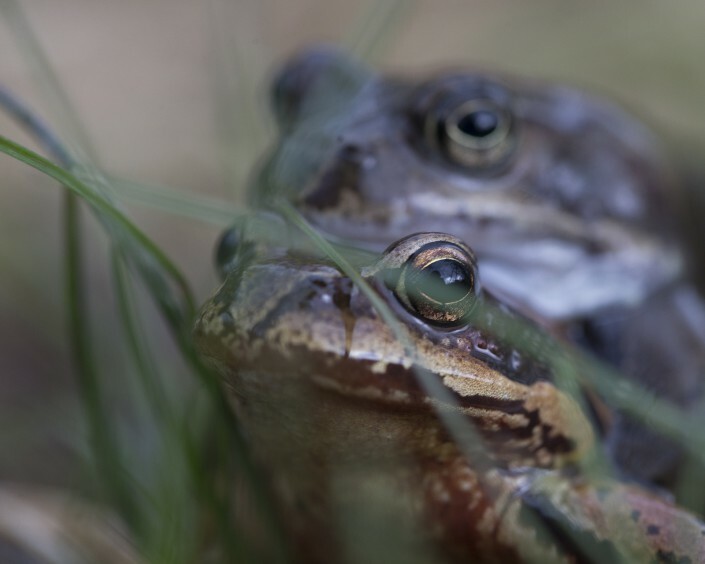 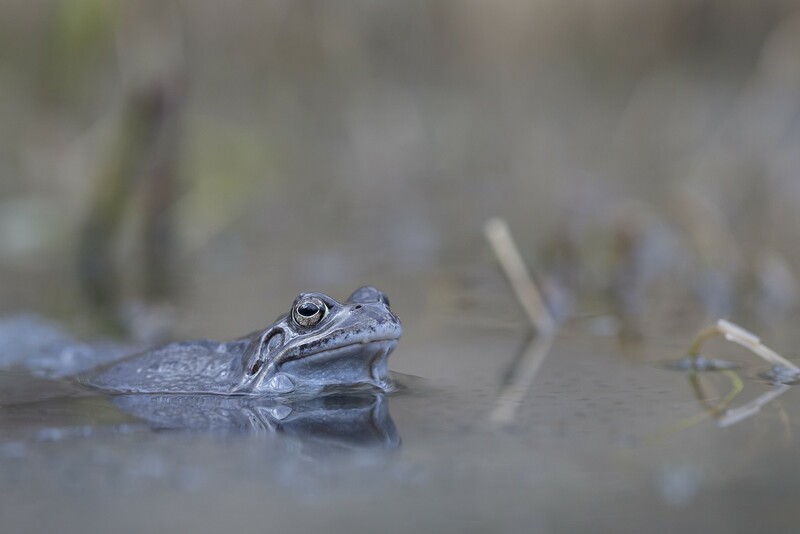 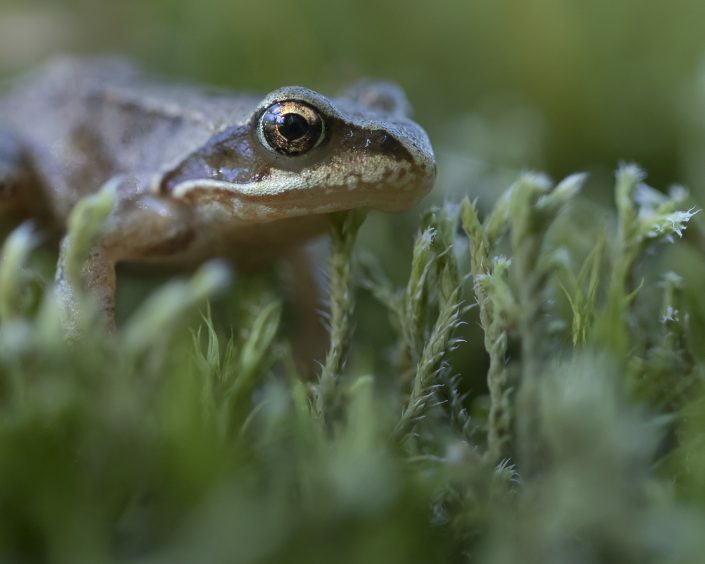 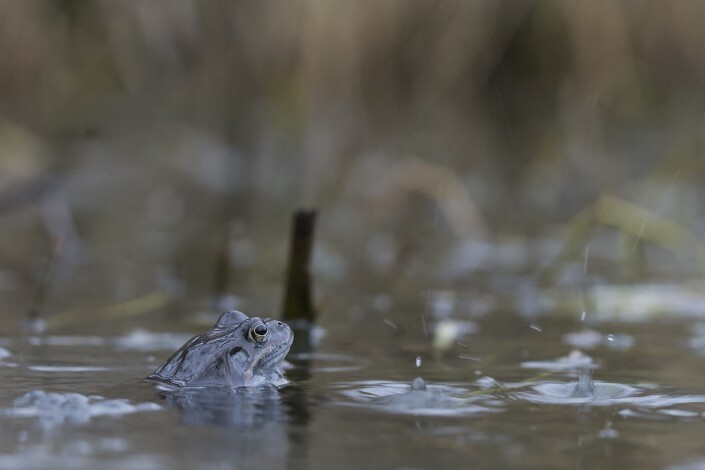 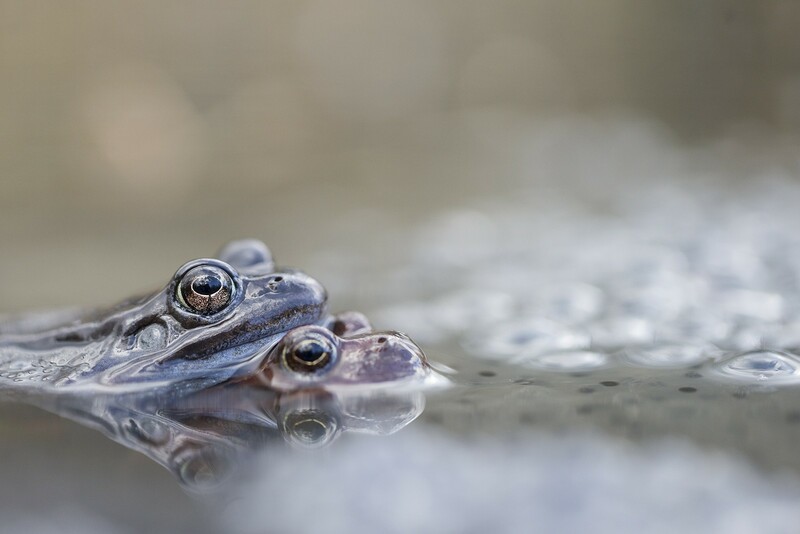 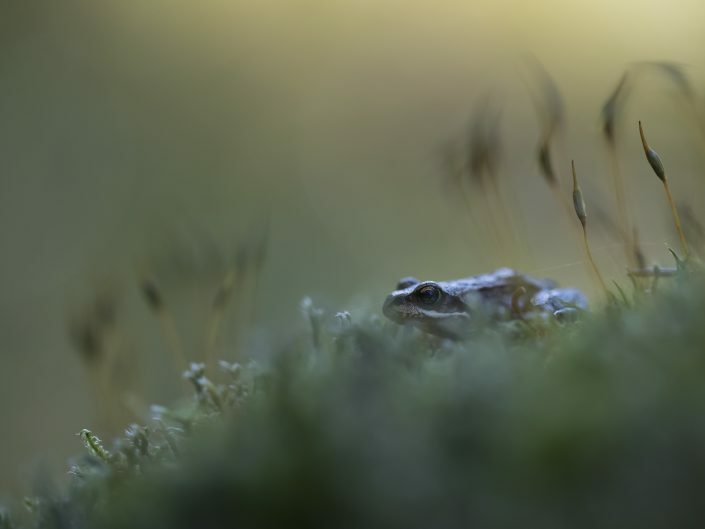 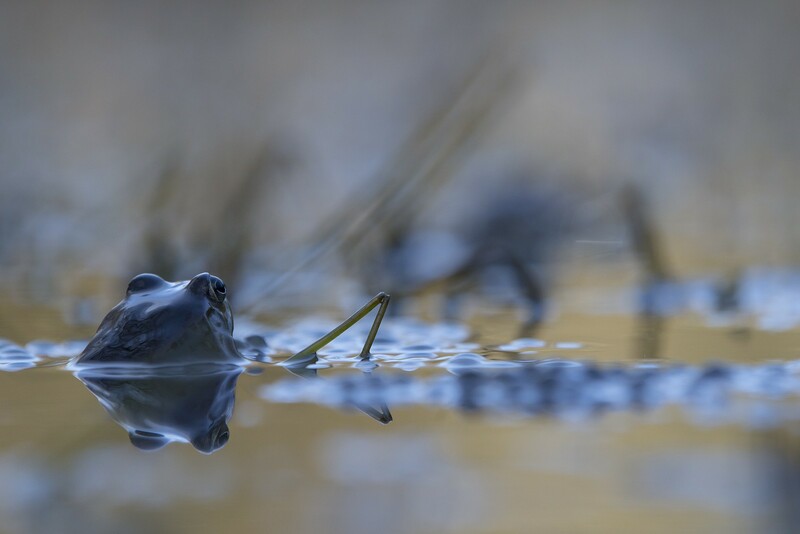 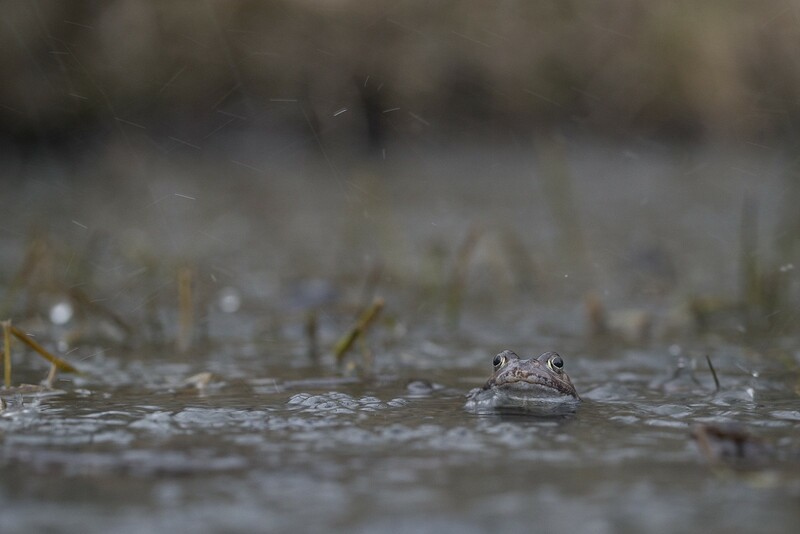 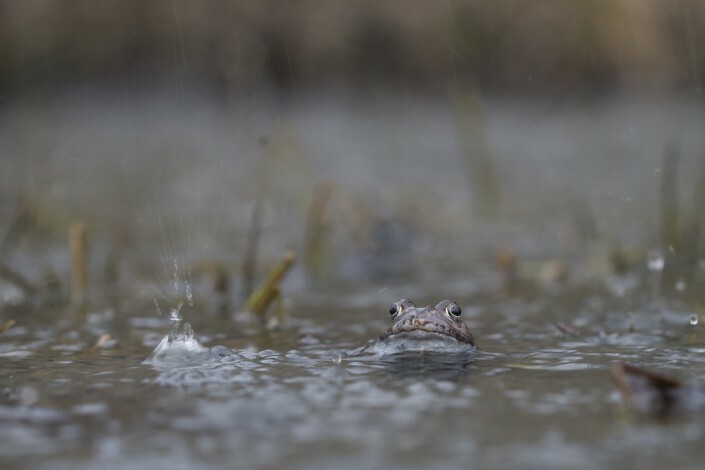 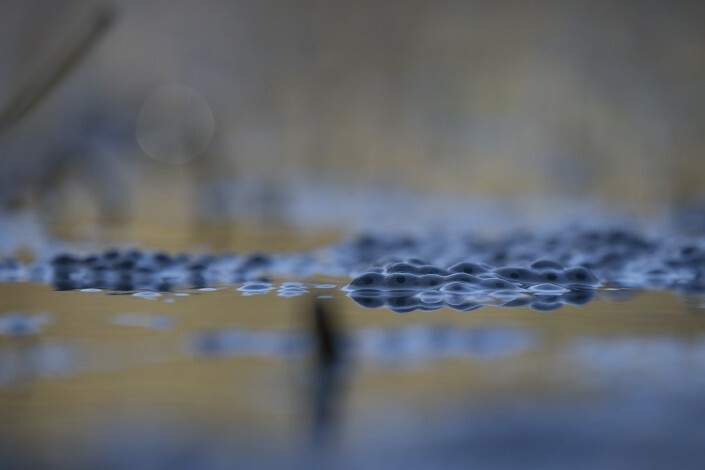 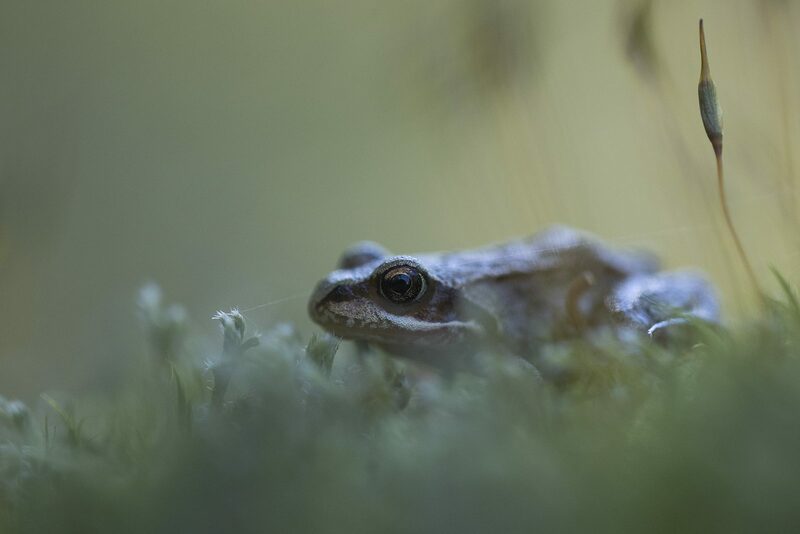 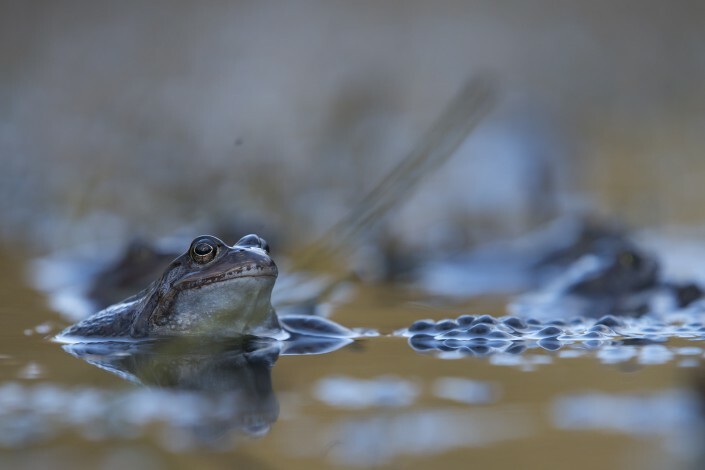 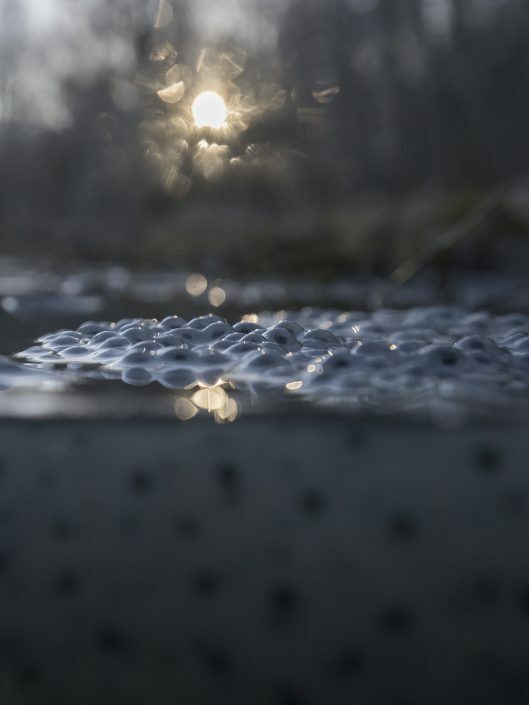 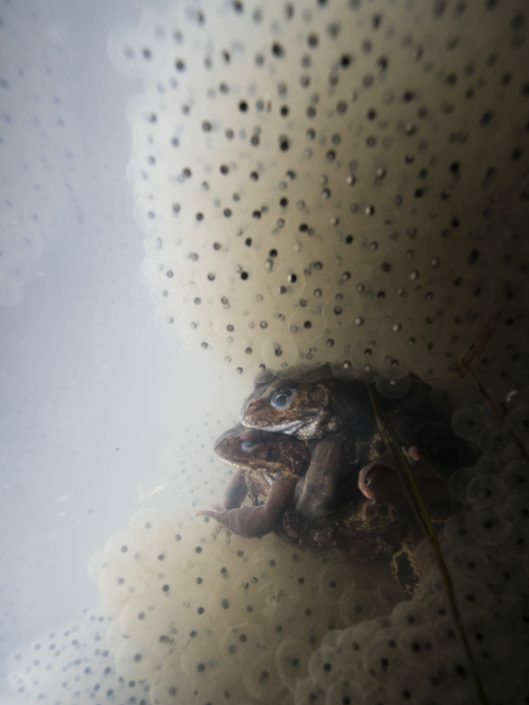 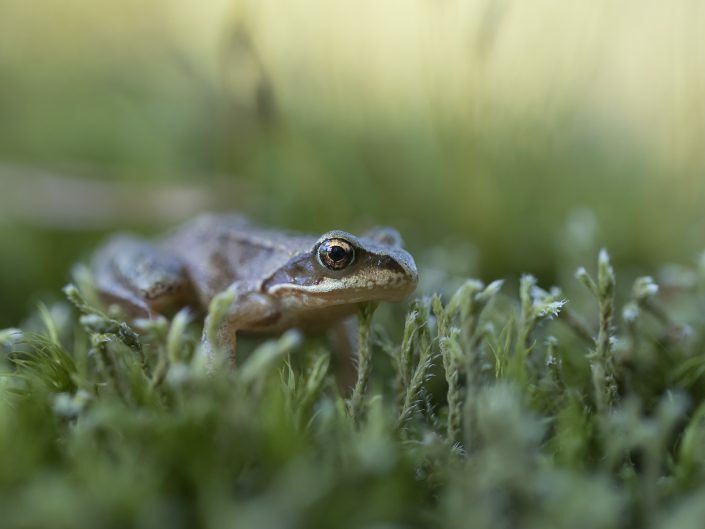 [ Outside the breeding season, common frogs live a solitary life in damp places near ponds or marshes or in long grass. 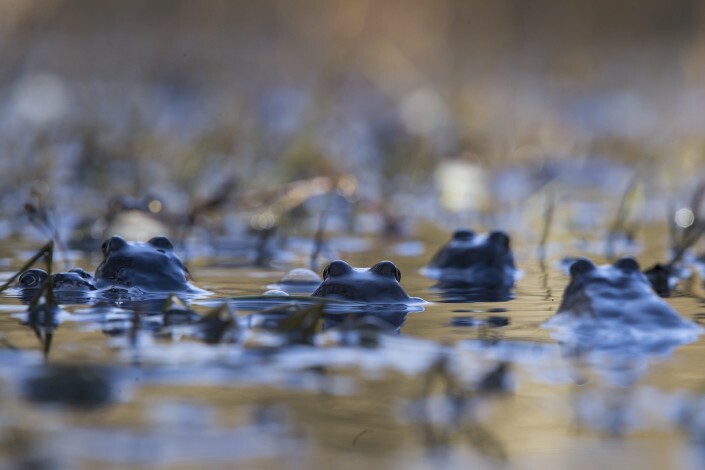 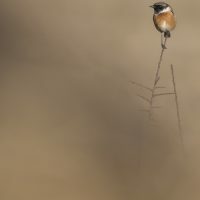 They are normally active for much of the year, only hibernating in the coldest months.